Here's what happened to the other 11. Democratic Sen. Robert Menendez of New Jersey was indicted Wednesday on federal corruption charges, becoming the 12th U.S. senator ever to be indicted. 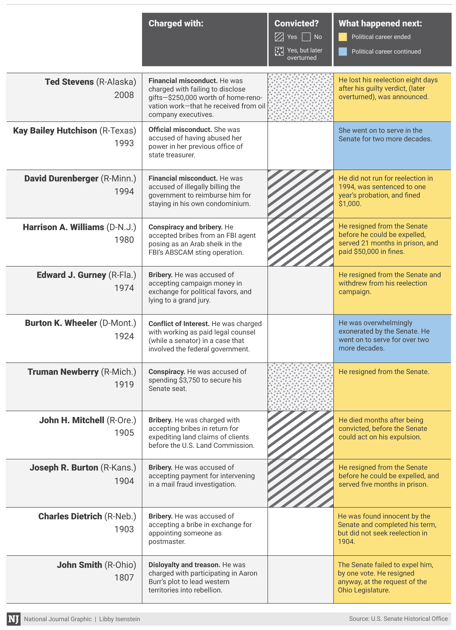 Here is a look at the other 11 who have faced such charges and at how the turmoil affected their political futures.